A new music concert with a difference – help transform a play space into an immersive musical garden. A child opens the gate and steps into a garden. Months ago, she planted seeds – ideas, hopes, memories – and left them to grow. Will she take the obvious path, stopping to marvel at each plant in turn? Or will she explore, become distracted, and deviate to find something new? Will she follow the blackbird? In June 2016, flautist Naomi Johnson and Forest Collective invite you to Blackbird in the Garden. This whimsical concert piece brings together music and dance in a multidisciplinary performance based on Andrew Aronowicz’s flute miniature series Following the Blackbird. Here, Naomi becomes a child in a strange garden brimming with musical gems, as she follows the trail of an elusive and capricious dancing blackbird. Come, join us at the garden gate, and ready yourself for this most delightful and curious journey of playful discovery. 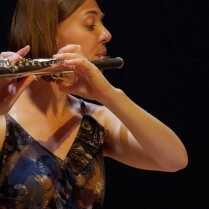 We premiered Following the Blackbird for flute and live electronics in a recital in 2014. This year, we’ve been invited by Forest Collective to present the series of miniatures again, as part of a larger curated work. Each flute miniature will be paired with a contemporary chamber work, from both established and emerging composers. Part chamber concert, part installation, Blackbird in the Garden will invite audiences to experience the music we’ve chosen in a uniquely designed performance space. Drawing together an exciting team of musicians alongside a dancer who will embody the character of the blackbird, these performances will be presented at the Abbotsford Convent, Melbourne, 24th to 26th June 2016. We are already excited to be supported by Forest Collective in the presentation of this project. Through this partnership, we have secured a fantastic venue at the Abbotsford Convent, Melbourne, along with marketing and technical support, and key artist contacts. We value each and every contribution made to this project, and, in keeping with our philosophy of creativity and whimsy, every donation will become a physical leaf in the garden it has helped to grow. We are particularly keen to talk with incredibly generous donors about further ways they can share in the creative process of this project. If you would like to find out more, please get in contact with us via the links provided. 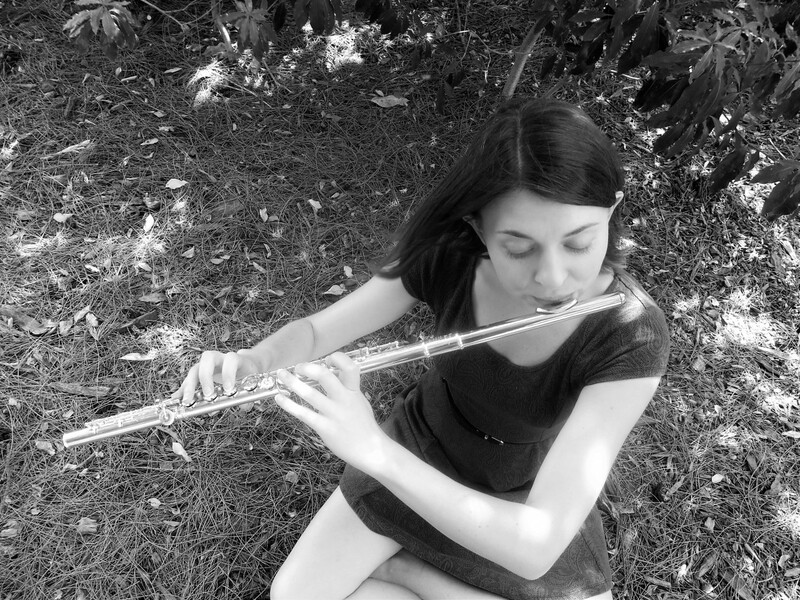 Flautist and writer Naomi Johnson is a versatile and inquisitive performer of solo, chamber and orchestral music. She has worked with ensembles including the Australian National Academy (ANAM) Symphony Orchestra, the Melbourne University New Music Ensemble and Forest Collective as part of the Metropolis New Music Festival. A three-time participant in the SoundSCAPE festival (Italy), she has worked with composers from Australia, New Zealand the UK and the USA, and is increasingly active in commissioning new works. Naomi holds a Masters of Music (Performance) from the University of Melbourne, and has also studied at the Sibelius Academy in Helsinki, Finland and at the Trevor Wye Flute Studio in the UK. 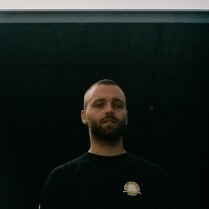 A keen advocate of music through the written and spoken word, Naomi has worked with Garden of Ideas (UK) and the Sydney Symphony Orchestra as a Music Presentation Fellow. She is currently based in Sydney as a music programmer with ABC Classic FM, and remains active as a writer and blogger.